Boasts 24 Highway MPG and 17 City MPG! KBB.com Best Resale Value Awards. 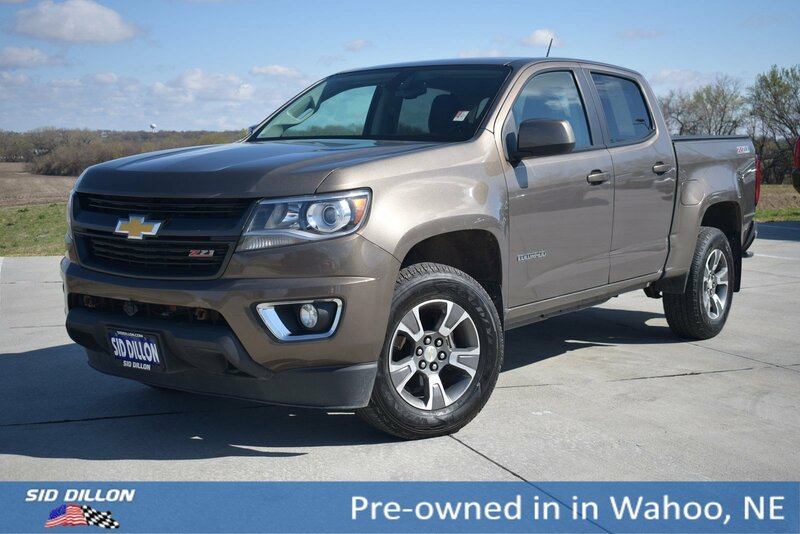 This Chevrolet Colorado has a trusty Gas V6 3.6L/217 engine powering this Automatic transmission. 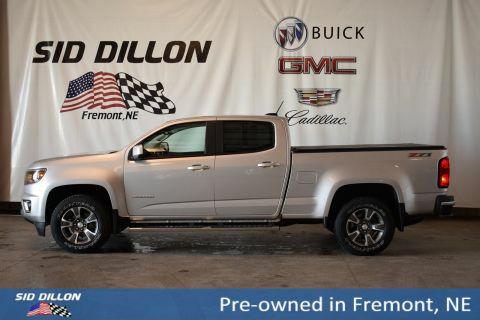 TRAILERING PACKAGE, HEAVY-DUTY includes trailer hitch and 7-pin connector , Z71 PREFERRED EQUIPMENT GROUP includes standard equipment, TRANSMISSION, 6-SPEED AUTOMATIC, HMD, 6L50 (STD), TOW/HAUL MODE, TIRE, SPARE P265/70R16 ALL-SEASON, BLACKWALL, SEATS, FRONT BUCKET (STD), REAR AXLE, 3.42 RATIO, LICENSE PLATE KIT, FRONT, JET BLACK, CLOTH/LEATHERETTE SEAT TRIM, ENGINE, 3.6L SIDI DOHC V6 VVT (305 hp [229 kW] @ 6800 rpm, 269 lb-ft of torque [365 N-m] @ 4000 rpm) (STD). 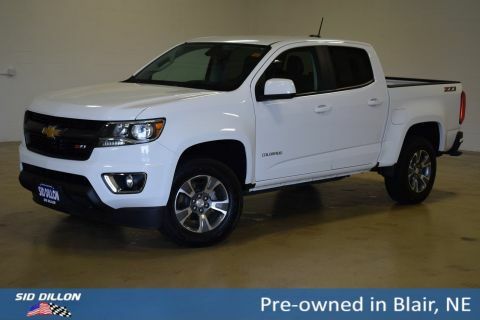 As reported by The Manufacturer Summary: With advanced technology to keep you connected, great fuel efficiency, the Chevrolet Colorado is all that you want in a truck. Chevrolet is redefining the midsize pickup from the frame up. Under the hood you can choose from the choice of 2 engines including a 2.5L that produces 200hp and 191lb-ft of torque or a 3.6L V6 that produces 305hp and 269lb-ft of torque with best-in-class 26 MPG hwy fuel economy. It achieves this by implementing innovative powertrain technologies like Spark Ignition Direct Injection and deceleration fuel cutoff, which shuts off fuel to the engine when braking. With the available trailering package, this small truck is rated to tow up to 7,000 lbs. 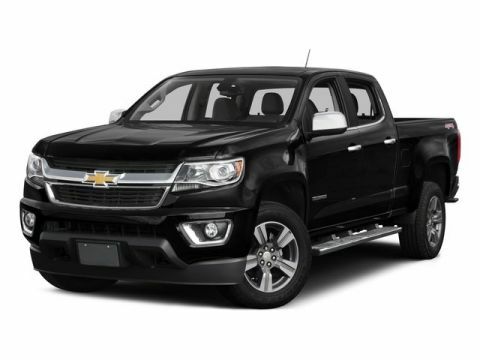 The Colorado small truck offers a Z71 Off-Road Package with precisely tuned suspension that provides an incredibly stable and comfortable ride for off-road performance. The Z71 package also includes an automatic locking rear differential, which sends power to one of the rear wheels when the other one loses traction to help you stay in control. Colorado was designed to be comfortable in any environment, from city streets to camping retreats. Colorado is the first small truck to combine design features such as inlaid, triple-sealed doors, thick windshield and side glass, and liquid-applied sound deadener to help reduce wind noise inside the cab and keep the road noise out. Customize your driving experience by arranging the icons and features on the available Chevrolet MyLink 8-inch diagonal color touch-screen. The interface allows you to touch and swipe on the screen just like you do on your smartphone. Advanced safety features include a standard rear vision camera, available forward collision alert, and lane departure warning.